I was lucky enough to have been invited to a Terroir trip at Tawse Winery along with some fellow food and wine writers. It's been a while since I was last in the Niagara wine region and I was due for another trip back. 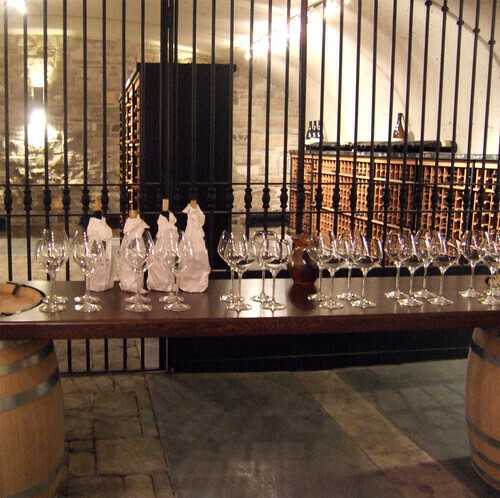 This trip was certainly to be a treat for all, as Tawse was recently named Canada's Winery of the Year, and I was eager to taste some of their Gold Medal-winning wines. 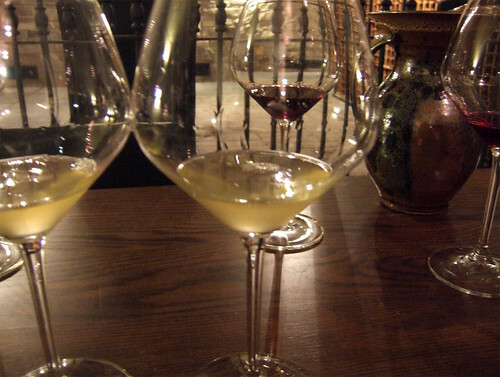 But what interested me the most about this trip wasn't so much the tasting (although certainly a huge perk!). It was a great opportunity for me to learn more about the philosophy behind Tawse and their practices, and the notion of terroir. 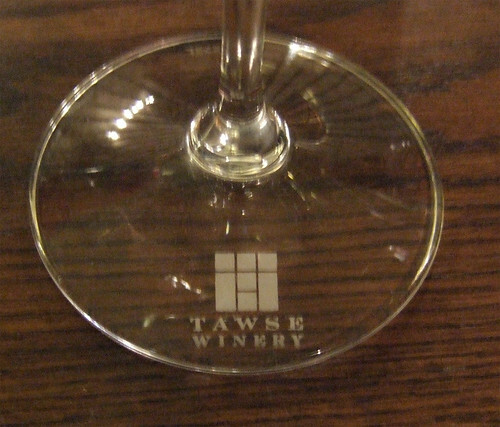 I had been to Tawse Winery once before, the last being back in January during an icewine tour in the region. It had been a quick stopover with a brief tour of the facilities, so I was looking forward to a more thorough understanding of the winery itself. Shortly after our arrival, Tawse winemaker Paul Pender took us all out to the vineyards at their Cherry Avenue location (where the tasting room is located) for a tour. 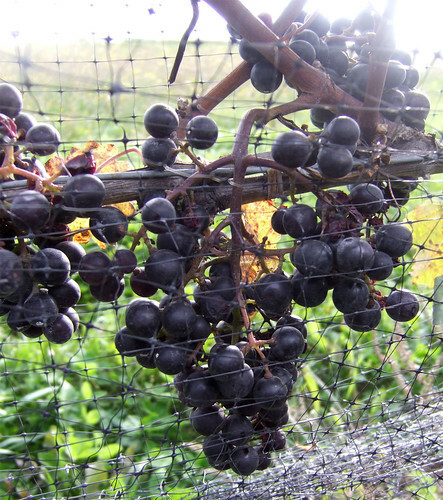 It had been an early harvest this year, probably due to the hot summer we had this year, but there were still Merlot and Cabernet Franc grapes still left to be picked later this week. Paul explained to us the main philosphy of the vineyards was driven by the idea of biodynamics. 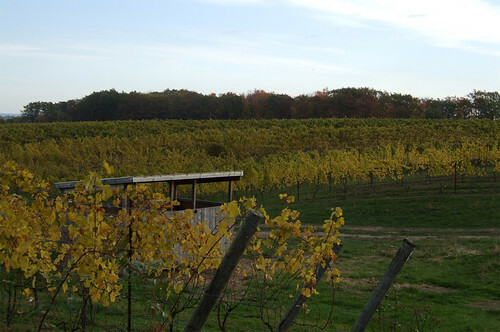 Tawse uses organic and biodynamic farming techniques to ensure the health of their vines and the vitality of their soils. Such practices ensure healthy plants, and healthy plants results in excellent fruit. The idea of biodynamics comes out of Europe in the 1920s by a guy named Rudolf Steiner. Industrialism was at its height after the First World War, as people tried to find new ways to feed the masses. Synthetic chemicals were introduced to farmers to help protect their crops, and while the short-term effects were successful, the long-term effects revealed themselves years later. People realized that the quality of the food was drastically decreased, as well as the health of the plants. To rectify this situation, Steiner stressed that no synthetic chemicals can be used. 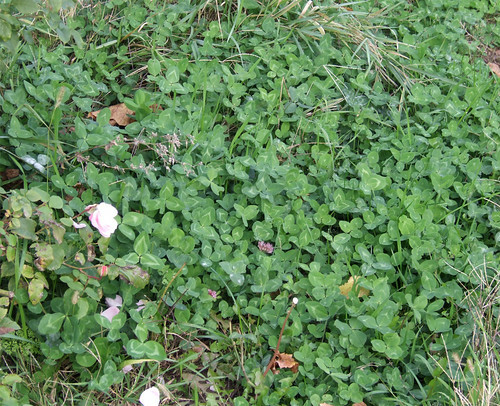 Secondly, the farmer had everything on his property to restore the health of the soil. Biodynamic agriculture stressed organisms as unified and individual, emphasizing balancing the holistic development and interrelationship of the soil, plants, and animals as a self-nourishing system without external inputs. Cloves are grown underneath the vines to naturally keep weeds under control, thus reducing the winery's use of having to use sprays. The cloves also put nitrogen back into the soil, helping to reduce the winery's carbon footprint. The winery has its own livestock of horses (who replace the tractors as much as possible, thus decreasing the winery's carbon footprint and the compaction on the soil), chickens (they help aerate the soil as they walk about), and sheep (nature's lawn mower and pruners). Paul hopes to add some cows to the winery next year, which will provide Tawse with natural manure (and perhaps their own cheese and yogurt!). 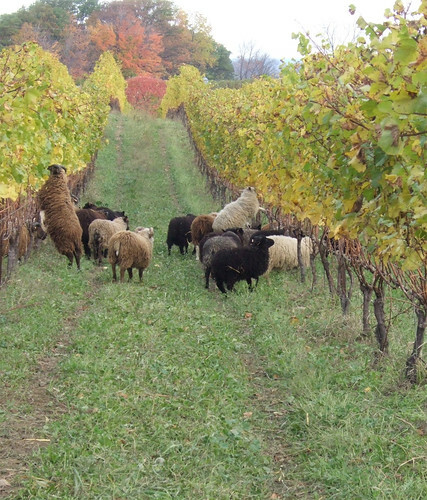 Tawse's sheep are integral in the farming practices at the winery. They help "mow" the lawn and prune the vines. This also fattens the sheep up for the winery's end-of-the-year harvest dinner. The Cherry Avenue vineyard at Tawse Winery. Cabernet franc grapes ready for harvesting later this week. Paul then talked about the characteristics of the various terroirs and how that affects a wine's flavour. 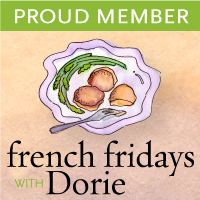 Terroir is a concept that is particularly observed in Burgundy. At the heart of this concerpt is the assumption that the land from which the grapes are grown imparts a unique quality that is specific to that region alone. Paul explained that the Cherry Avenue terroir is made up of heavy clay and moderate limestone, hence making for a pretty heavy and dense soil. The yielding fruit from this terroir results in richer flavours in the wine, much rounder, robust, complex and "masculine." The Quarry Road terroir, on the other hand, is mineral-driven (from all the limestone in that area)—leaning more towards the Burgundian-style. More importantly, the key thing winemakers should keep in mind is to let the terroir tell you what's working and what isn't. Don't try to grow a variety that just won't do well with the terroir. In Paul's case, the Tawse terroirs are ideal for making excellent Rieslings, Gewürztraminer, Chardonnay and Pinot Noir. All that touring sure got us all thirsty, and we were brought down to the cellar tasting room for a blind tasting. Keeping everything that Paul told us earlier in the morning about the two differing terroirs, how each soil will affec the fruit and wine in its flavours, we were asked to guess which of the two pours was from Cherry Avenue and which from Quarry Road. My palate is certainly not as sophisticated as some of the more experienced wine drinkers I was with, but the '09 Pinot Noir pours were pretty easy to distinguish. The first pour was a lot more softer and mellower, with fruitier notes (I guessed Quarry Road), while the second note had a bit more acidity and complexity to it (Cherry Avenue). The second wine we tasted were the '09 Chardonnays. The chards were a lot harder to differentiate as the differing notes were very subtle. Paul gave us a hint that Robyn's Block (Cherry Avenue) would have more of a pineapple note to it, and after a few more swirls around the mouth, I thought that the second pour had more tropical notes to it. The last wine we tasted were the Gold Medal-winning '08 Chardonnays. This was the hardest to pick between the two, and while I thought the first pour was from Robyn's Block, it turned out to be from Quarry Road. Tawse has an excellent portfolio of wines (I'm a huge fan of Niagara Rieslings, and Tawse's '09 Riesling was no exception. But definitely try their Gold Medal winning Chardonnays. Their Lauritzen Pinot Noir was also very lovely.). 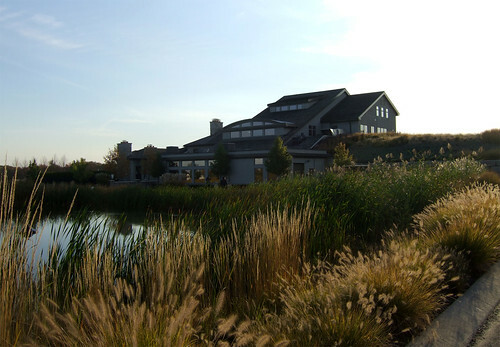 Many of their wines are readily available at the LCBO, but the next time you're in the Beamsville area, definitely make an effort to stop by the winery. It's a beautiful location, and the people who run the facility are fabulous. A huge thank you to Paul Pender for being such a wonderful host, and to Daniel Lafleur and Suresh for organizing the trip. Stay tuned for Part II of my Tawse Terroir Trip, when I'll recap the amazing lunch we were served, courtesy of Chefs Paul Harding and Jason Schubert from The Only on King. Posted by Bonita at 10:22 a.m.
Andrew and (formerly) Bonita October 22, 2010 at 4:18 p.m.
Looks like the sheep weren't just interested in grass!